Guangzhou, China – If you walk the streets of Guangzhou, there is one common theme: litter. And lots of it.The Guangzhou City Administration Commission said the city’s 12.7 million residents throw out about 18,000 tons of household garbage every day. 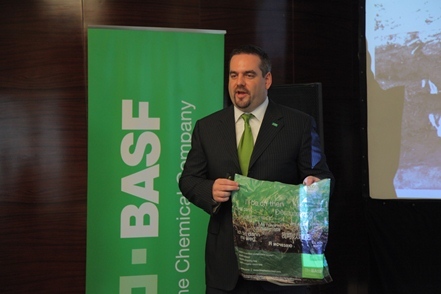 Daniel Hebert, BASF head of regional business management of biodegradable polymers Asia-Pacific, hopes to see the day of no litter on the streets happen sooner rather than later. At Chinaplas, BASF showcased its ecovio polymer, a completely compostable plastic according to DIN standard EN 13432 for biodegradable packaging. All food and drinks at BASF’s booth were served on fully biodegradable and certified compostable cups and plates made with ecovio. The company said all the waste will be disposed of together with other organic waste in certified compostable waste bags, also made with ecovio. The waste will be sent to directly to a mobile composting facility where it will be converted into compost. Guangzhou waste is not much different from the rest of China, with much of it sent to landfill, which in turn, generates greenhouse gases. BASF said if all organic waste in China were to be collected separately and composted, 45 million tons of carbon dioxide equivalent could potentially be saved every year. BASF is currently working on a pilot composting project in the Wanke community of Wuhan. The project, which started last June, employed certified compostable and biodegradable plastic bags made of BASF’s ecoflex and Ecoplast’s PSM. The compost generated from the pilot project will serve as organic fertilizer that will be used in the Wanke community and on farms in Wuhan Xingzhou. Hebert said the first phase of the project was successful – about 1000 homes are using the compostable bags. Phase two consists of the adoption of 100,000 homes, and they said the target launch of phase two is by the end of the year. The company is working on a similar trial in Guangzhou, which will involve the separation of food waste. Besides, cost, which is always a major obstacle with any new endeavor, one of the biggest roadblocks is consumer participation. Up till now, the available ecovio grades were designed for extrusion, in other words, for producing films that can then be further processed into bags as well as mulch film. 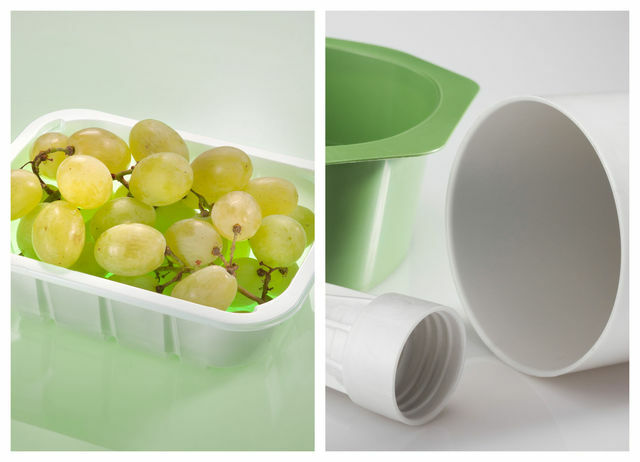 BASF said that since the packaging sector is displaying a growing interest in certified compostable plastics, the company has now augmented its product line by new grades intended for two other processing technologies: thermoforming and injection molding. The ecovio T2308 grade is now available for thermoforming. For injection molding the company offers the new ecovio IS1335 grade.BASF said the plastic exhibits similar mechanical properties to those of amorphous PET, but it differs by virtue of its compostability and its content of polylactic acid. The injection molding grade ecovio IS1335 is said to offer good stiffness. It can be processed using single-cavity or multi-cavity molds that are equipped with or without hot runners. The variant lends itself to thin-walled packaging, which, according to BASF, should preferably be manufactured by injection molding and should be compostable.